FRANKFORT, Ky. (November 9, 2017) – "We wanted to offer a report to the media and public about the independent investigation we launched into the allegations and reports of inappropriate conduct swirling in the state capitol. The law firm of Middleton Reutlinger has begun its work. They are simultaneously advising us on personnel and human resources matters while handling the preliminary phase of the independent investigation. Our outside counsel has advised us that they should be able to provide a preliminary investigatory report in about ten days. At that point, we will review the findings and make further decisions about how to proceed. We may—as some have suggested—decide to turn the matter over to the Legislative Ethics Commission, as they have unfettered subpoena power. We may also decide that our outside firm can complete the independent review. We won't know the right path forward until we see the preliminary report, but we are keeping all of our options open. Ultimately, we want the deepest, most independent investigation possible. We intend to make decisions about our caucus and staff when the full facts emerge. None of us condone sexual harassment or inappropriate behavior, and we want the facts about anything and everything that happened. Speaker Pro Tempore Osborne and Majority Leadership met with House Democratic Leader Rocky Adkins about this situation and appreciated the constructive conversation. At this point, the independent investigation is underway and should not be interrupted by politics or personal emotions. The facts should be allowed to emerge and guide future decisions. We will report back to the media and public on the status of the investigation when Middleton Reutlinger has delivered its preliminary review. If anything changes with the status of the investigation, we will alert the House and public immediately. We have taken some internal caucus actions because of this situation. The Leadership Team has appointed Representative Jerry Miller of Louisville as Co-Chairman of the Public Pension Oversight Board. Vice-Chairs of two other affected committees have been elevated to Chairman. Additionally, Representative Myron Dossett of Pembroke has been elevated to a subcommittee chairman. As this investigation unfolds, we are simultaneously keeping the House on track by working in good faith with the Senate and the Governor on the pension issue. Additionally, meetings of the Adoption and Infrastructure working groups continued this week, two critical policy matters. Budget Review Subcommittees also continued their work this week in preparation for the upcoming budget session. The entire Leadership Team is committed to an orderly budget process, as the Commonwealth faces extremely difficult fiscal circumstances. 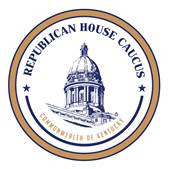 The Leadership Team is grateful for all members of the Republican Caucus and the entire House of Representatives for continuing to represent their constituents and doing the work of the people as the independent investigation unfolds. We also appreciate the ongoing dialogue with Governor Matt Bevin as we tackle the difficult issues of the Commonwealth. Our message to the people of Kentucky continues to be that we will not fail you in finding the facts or in solving the severe financial problems facing our state."